Once again Ian Cleland had a strong performance at the Carrickfergus parkrun coming in 2nd on 15th August in a time of 18:36. Charlie continues his return to form at parkrun with a time of 19:59 bringing him home 2nd male on 29th Aug.
Jonny Bell put in 3 strong runs during August posting good times and getting a new PB on 8th Aug with a time of 22:33. The PB’s just kept on coming in August with Gareth Hamill in 21:58 , Trevor Lamb 25:40 (PB and 50th parkrun!) and Alison Welsh 27:16 on 15th August. 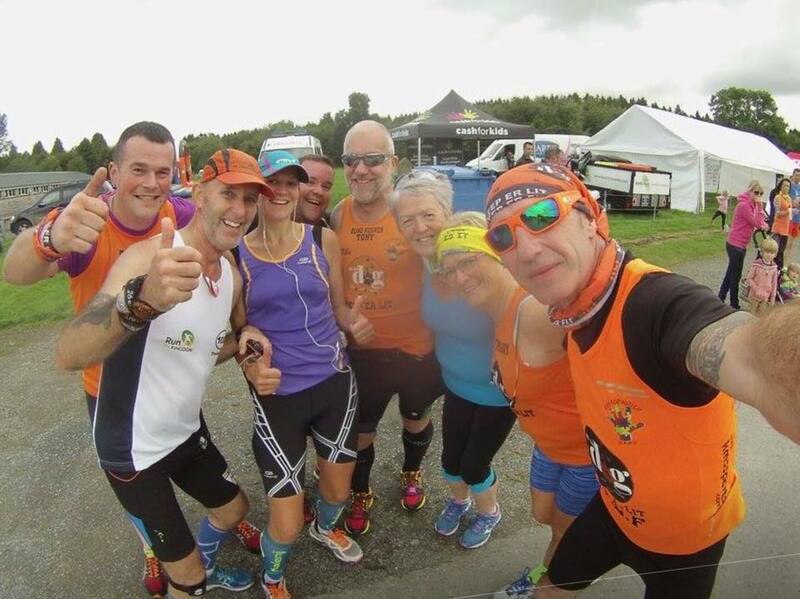 Carol Downey is currently in top form and posted a new parkrun PB of 32:53 on 22nd August as did Colin Pearson in a time of 27:45 and on 29th August new Seaparker Robert Steele got a new PB of 22:16. But only one Seaparker double PB’d at Carrickfergus in August and that was Glenda Murray with 28:14 on 1st August and 28:03 on 15th. Ann McCracken made her Carrickfergus parkrun debut on Saturday 15th August finishing in a time of 28:36. 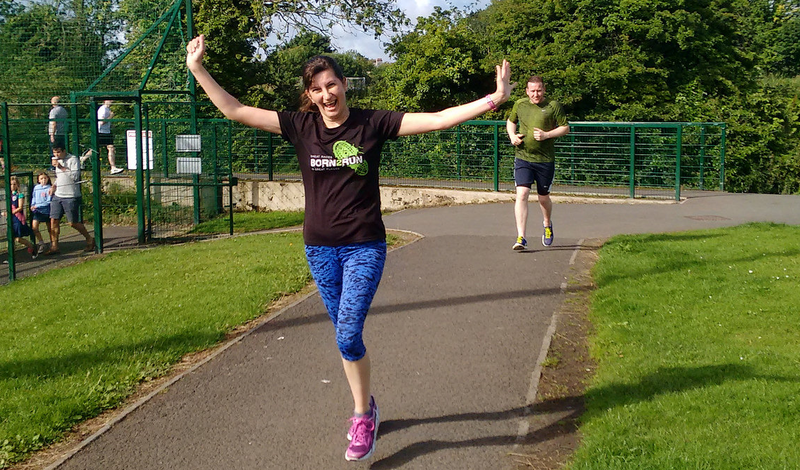 Others completing the Carrickfergus parkrun during August were Jonathan Beattie, Brendan Rice, Karen and Phil Poag, Allan Grant, Andy Smyth, Angela McCormick, Michael Kane, Neill Harper and Julie Ann Mitchell. On 1st August Ian Cleland visited Antrim parkrun for the first time and finished 5th male out of 210 runners, in a time of 18:41. Also at Antrim Sara Johnston posted a PPB (parkrun personal best!) in a time of 28:06. The new Stormont parkrun was a popular event for Colin, Trevor, Glenda, Robert, Ann, Karen McMaster and Bobbie on 29th August. Further afield Karen and Phil Poag visited the beautiful Portobello parkrun outside Edinburgh. Bobbie Irvine continued his run on alternative parkruns, visiting Victoria, Waterworks and the new Stormont parkrun during August. This means that Bobbie has visited a total of 27 different parkruns – that’s a Seaparker parkrun record! Finally the son of Bobbie, Gavin, completed 3 parkruns at his local event in Hull landing himself a nice shiny new PB on 1st August in a time of 23:40. 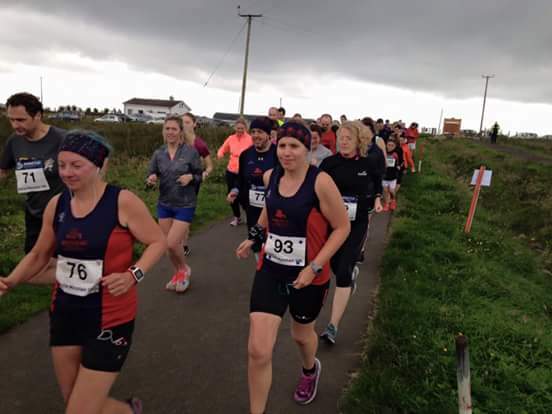 45 runners from Seapark took part in the new ‘Storming The Castle 10k’ race which was run for the first time. 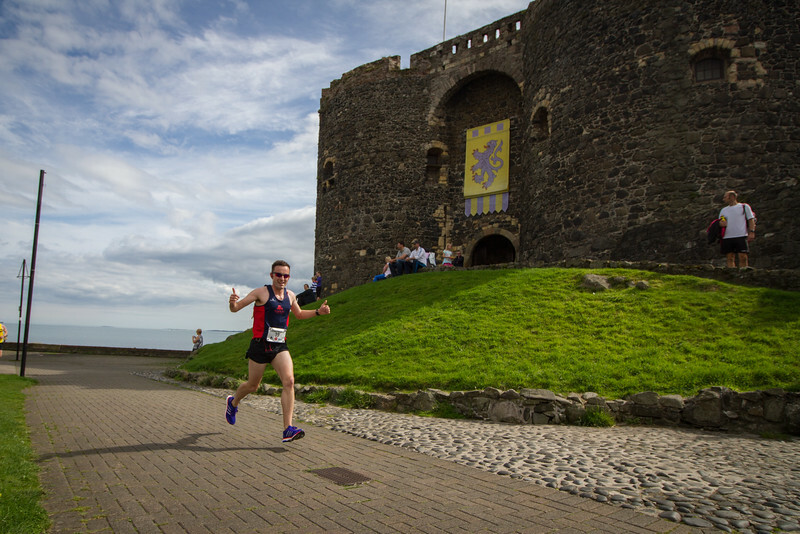 The race was developed in partnership with Mid & East Antrim Council and included a Kids Fun Run and family entertainment inside Carrickfergus Castle. The course was selected to best showcase everything that is iconic and beautiful in Carrickfergus. Of the 384 registered, 365 runners took part on the day and as well as the flat, scenic course they were treated to hospitality and entertainment at the FINISH and inside the Castle. Seaparkers performed well with Ian Cleland coming home as first Seapark male in a time of 38:48. Gillian Cordner was third female overall in a time of 44:53 and Jennie Haggan put in another winning run coming in first Junior female in a time of 52:47. 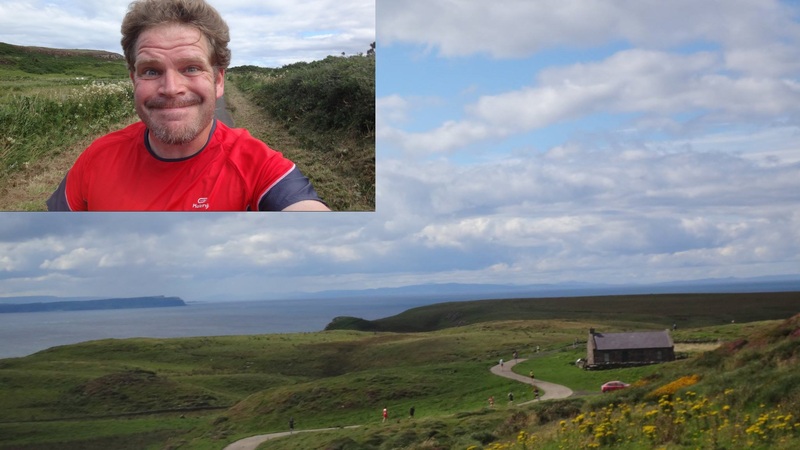 Neill Harper was the sole member of Seapark to take on the rath of Rathlin Island 10 mile race. The route was sufficiently elevated in parts to enable Neill to post some stunning pictures to the Facebook Group. 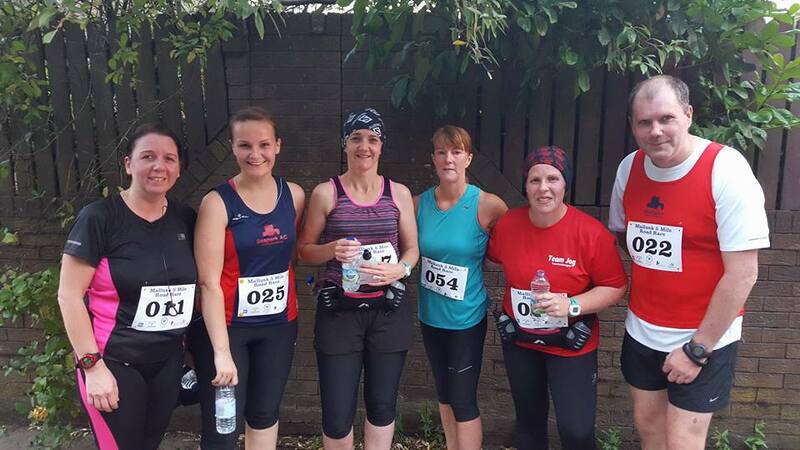 The Poag’s, Michael Kane and Alison Welsh competed in the Run Belfast Divis 10k multi-terrain route with breath taking panoramic views of Belfast and beyond. 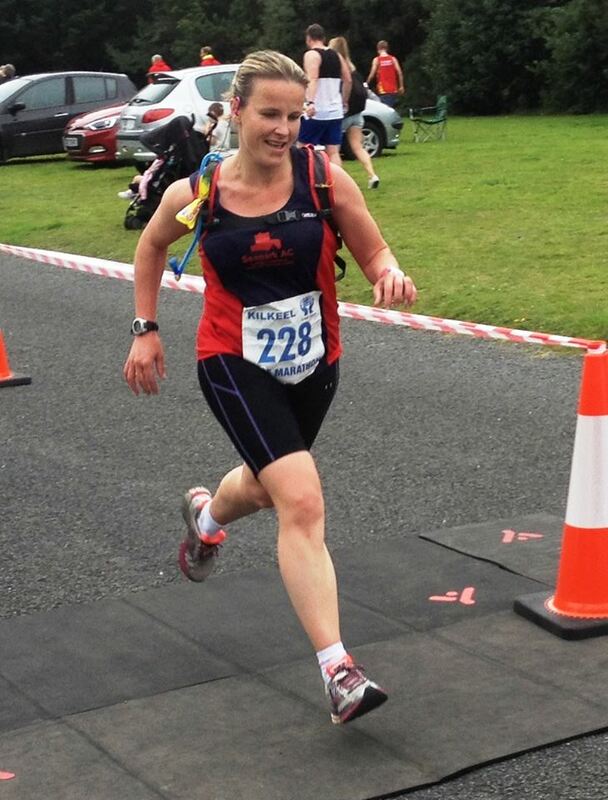 Karen Poag was first home for Seapark in a time of 55:03 and narrowly missing out on the top 3 ladies places. Gillian Barnhill, Tony Barclay and Gary Connolly from Seapark shared the final part of the 2,600 miles with Larry and Stevey who completed their epic journey of endurance- 100 marathons in 100 days around Ireland. The annual Larne Inter-Club Race is a firm favourite on the local fixtures list. 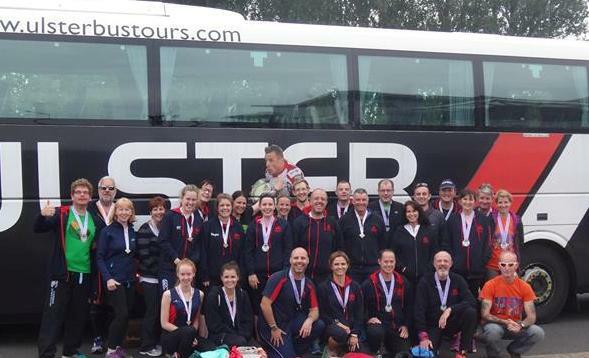 Twenty seven members from Seapark travelled to the scenic Knock Dhu in Cairncastle to compete with Ballymena Runners, East Antrim Harriers, East Coast AC, Co Antrim Harriers and Whitehead Runners. Despite the wet weather conditions Seapark members posted excellent personal performances with Ian Cleland being first home for Seapark in the Men’s 5 mile race in a time of 30mins 32 secs and Alanah McCombe in the ladies 4 mile race in a time of 30mins 23secs. The annual club trip this year was to the ever popular Born2Run Dambusters Half Marathon and 10k in beautiful Silent Valley. The event was so popular amongst club member that a very large bus was required! Gillian Strudwick can’t hide her happiness crossing the line at today’s Dambusters Half Marathon. This is the final event in the Pure Running Half Marathon series 2015 and Gillian is pictured here completing 10 out of 10. 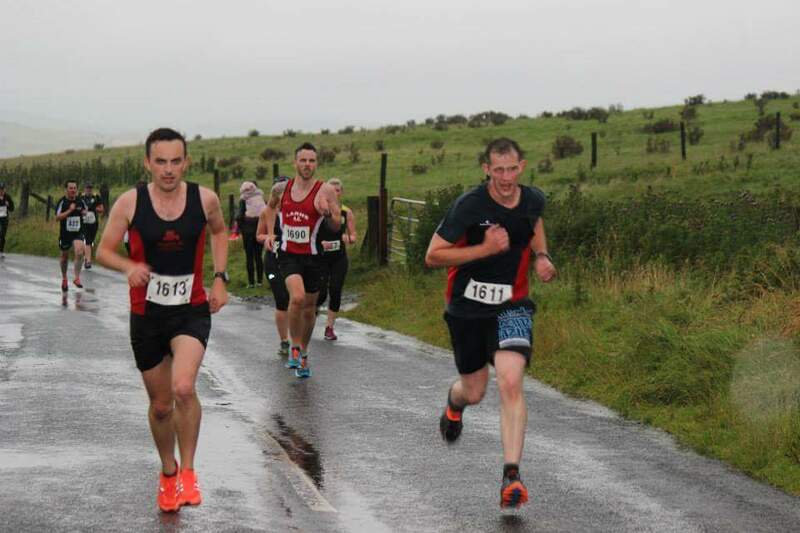 It was a hot night for the steep one and a half mile climb at the start of the Mallusk 5 mile road race but this didn’t put Seapark members Sara Johnston, Lynette Magill and Trevor Lamb from getting excellent times over this distance. Members were joined by Heather Lown, Julie Clyde and Josephine McAlister competing for the first time at this distance. Well done all! 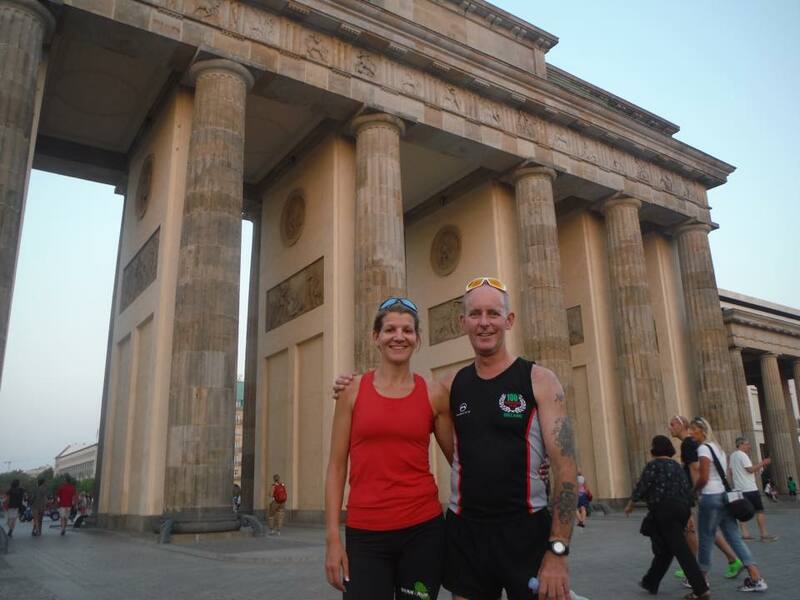 Gillian Barnhill and Gary Connolly travelled to Berlin to take part in the Berlin Wall Race. The 100 mile race is an endurance race that takes in all of the wonderful sights in the region of the official ‘Wall Trail’. Gillian and Gary managed to complete the course in under 24 hours with Gillian coming 3rd place in her category.